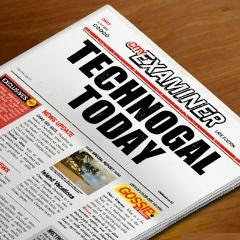 Technogal: What a hectic day! You know this feeling when you have to wake up the next day in the early morning to start your first day at work after Ramadan and Eid holiday, while you still didn't programmed your self for the new timing! It was almost 1 Am when I entered my room, preparing my self to sleep early *lol* in order to wake up early! I turned on the TV and logged into the Internet before sleeping.. As I was not feeling sleepy at all! 15 minutes later I decided to sleep and force my self to do so. I switched off everything in the room (laptop,TV,Lights) as I was so worried not skip my work the next day! 20 minutes later between trying to sleep and checking the time every 5 minutes. I decided to log on again! I felt deplorably bad and alerted, why the hell I am not able to sleep? 15 minutes later I turned on the TV too! and decided to watch gossip girl! I thought the idea of watching the TV would make me fall asleep. I spent the entire time between watching the TV, reading through the blogs, and playing Isketch. Ohh god it was 3 AM what's up with me!!! I have to sleep I have to sleep I have to sleep, I kept repeating those words! again I turned everything off. I also started counting the sheep! I remembered once at my childhood, my aunt told me if you are not able to sleep, close your eyes and imagine a flock of sheep jumping over a fence while counting the number that do so. it just like something that tire the eyes which also simulate rapid eye movement. While I was counting the sheep, I felt my eyes blinking whenever a sheep jumps.. it wasn't funny at all! The time was passing and didn't know what to do.. shall I stay awake until work time? am I going to function well without sleeping!!! by the way what's the longest time you've gone without sleep? Again I ended up continue watching gossip girl until 5 AM, and that was the last time I checked on my watch. At 6 AM I felt my head exploding, it was my wake up alarm. I used my cell phone and hit snooze about three times until I wake up. Now the worst part that I am still awake :) I don't feel sleepy at all! sounds weird but I just cant sleep at this time and never did before! aawww tell me about it. ive been battling with insomnia for the past 3 years and i finally managed to give myself a system and settle into it then ramadhan showed up. now i sleep at 7 am and wake up between 1 pm and 4 pm. I wasn't afraid :) well.. it takes me some time to get used to the new timing! if you remember your post about isketch? Imagine, didn’t stop playing isketch since the day I read it! Ohh god Allah y3eenich.. I was hoping and convincing myself it was not insomnia! It has been a while now since I traveled and during the last few days of Ramadan, sleeping late and waking up early. Guess aurous was right.. it just my sleeping pattern! and yes tell me if it works with you/gym? 23 hours! It seemed you didn't sleep well (``,) or maybe didn't sleep at all the day beofre that day! Ya I didn't sleep the night before at all. I had exams and stayed on all night. I came back home after the exam and slept for 23 consecutive hours. then it's time to bed amu ;) it's almost 12!Sleeping at 12 is not early though. I used to stay up all night studying for exams..can't do it anymore. Only one hour! one hour is not enough! you have to sleep at least 7 hours..it is not good for your health! longest time i've gone without sleep is hmmmm 24hrs! I've been busy lately with the University.. since we've started our first semester at AUM.